Backpacking trips to Europe are often recommended to university students because while having fun, you also go through hardships in foreign countries where you can learn valuable lessons. As well, you come to learn about and better understand diverse cultures. Therefore, most university students have a plan to go on a backpacking trip at some point during their university lives. As a university student myself, I went backpacking through Western Europe. For about 15 days, I visited five different Western European countries: Italy, Switzerland, Austria, Germany and France. I would like to talk about my journey in Italy, France and Switzerland since these three countries left such great impressions on me. Do you know there is a city state in Rome? Vatican is the smallest independent state in the world. Vatican has its own laws, political system, military and everything else necessary to function independently. 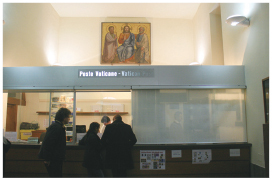 The population is only about a thousand and consists mainly of the clergy, devout Catholics, volunteers of Vatican and their families. Therefore, the birth rate in Vatican is zero. 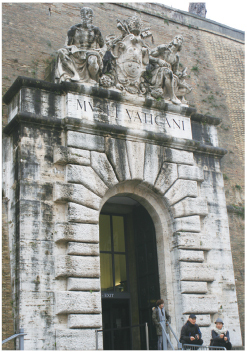 These characteristics of Vatican will probably make you become more curious about what it is like inside. Vatican is well-known for the San Pietro Basilica, the Pieta, the ‘Genesis’ and the ‘Last Judgment’ in the Sistine Chapel. When you approach the Sistine Chapel, there is a sign telling you not to talk inside, not to take pictures and to wear proper clothing since it is a holy place. When you walk inside the chapel, you are consistently told by the guards to be quiet. When I entered the chapel, its beauty took my breath away. 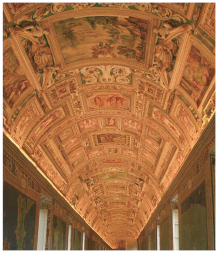 Though the paintings on the walls and the ceiling were on flat surfaces, it looked realistically three-dimensional. Also, the magnificence, especially of the ceiling, was just unbelievable. I got a feeling of holiness inside not just because it was a holy place, but also because I was surrounded by masterpieces. What I have said does not adequately describe the way I felt while looking at those things. Therefore, I definitely suggest going to see it yourself in your lifetime. When you think of Italy, the boot-shaped peninsula, pizza and pasta will pop up in your head. There are interestingly shaped pastas, which come in a variety of colors at the grocery stores in Italy. There are red even, blue and green pastas! Pizza originated from Greece and was passed on to Italy in the 18th century. Due to its long history, I had great expectations of eating pizza in Italy. However, Italian pizza was disappointing. It was made on thin dough and had only one or two toppings. There were no supreme pizzas with a lot of toppings on their dough. In Korea, when we order more than one pizza, we share with each other to taste different kinds of pizzas. However, in Italy, people order a pizza and eat the whole thing themselves. The interesting thing about Rome was that there were only small cars on the roads. 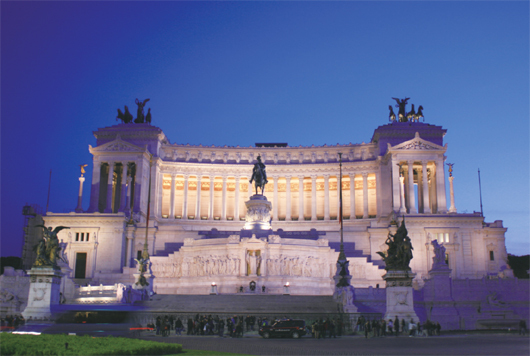 The guide in Rome said that there are so many artifacts buried underground that they cannot make many parking lots. Therefore, Romans have accepted this fact and use small cars to save parking spaces. I thought it was great that the Romans have stopped developing the area in order to preserve what their ancestors had left them. 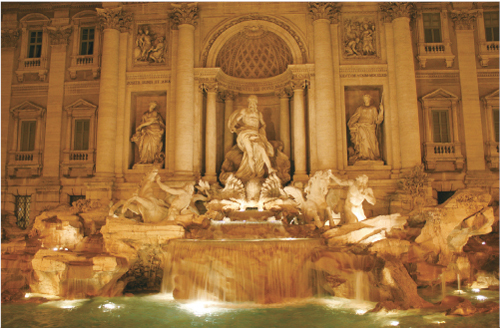 Good examples of what Romans have preserved are the Trevi Fountain and the Colosseum. They chose preservation and restoration over development and convenience. Rome has helped me understand why people like antiques. Before, I used to think that antiques were just things that smell and are rotten. However, this city taught me how old buildings and sculptures could be beautiful, magnificent and have special meaning. Venice is referred to as ‘the city of water.’ The interesting thing about the water of Venice was that it had emerald colors, but was not transparent. There are 118 islands in Venice and some are connected by bridges. Therefore, transportation on water is well-developed. 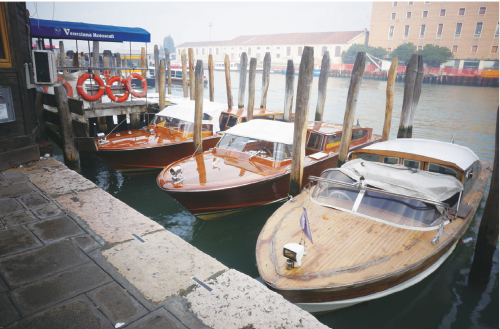 There are gondolas, water buses and water taxis. Even the police use a police ‘boat.’ Venetians use these modes of public transportation or their own boats. The Venetian water buses were like a subway. They had many different routes. The big difference between a subway and the water buses was that the water buses do not follow a railway but rather designated water ways. The water buses had seats assigned for the elderly in the front and you had to swipe your boarding pass on a machine at each water bus stop just like any bus. Though there was a map of the water bus route, it was too complicated for foreigners to understand. When you think of Venice, you will automatically think of gondolas and the romance on them. However, gondolas and the luxurious water taxis that we have seen in movies are just too expensive for students like us. A one-day ticket for the water bus cost 18 euros, but gondolas cost over 100 euros. As well, if you are planning to ride gondolas, you had better go to Venice in the summer because it is too cold to ride on an open boat in the winter. 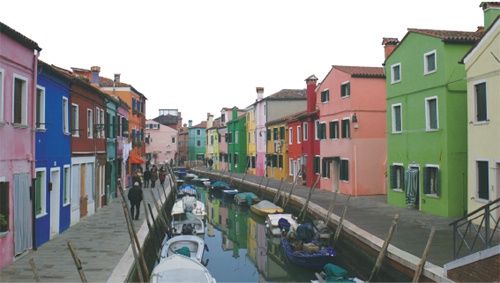 Burano Island is the most well-known island of Venice. It has colorful pastel-tone houses all over the island, so you can take beautiful pictures there. It is a popular spot for photo shoots and music videos. The secret to the houses not being painted the same color as their next door neighbors was very systematic. When the house owners want to paint their houses, they have to report it to the government, which in turn lets the house owner choose from certain colors. Burano Island is also famous for various kinds of lace and a lace museum. Aside from the lace museum and the colorful houses though, there was not really much to see on Burano Island. It was a little disappointing. 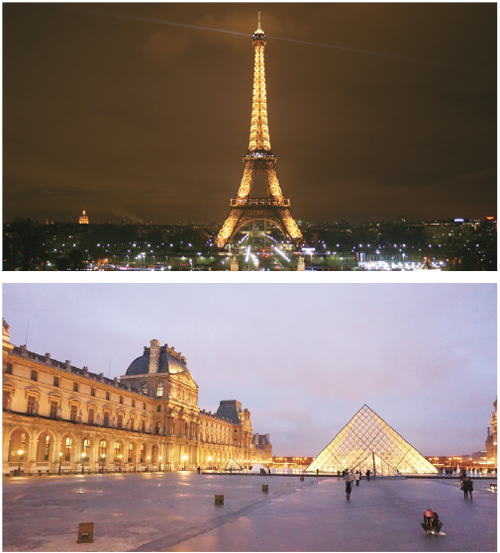 The tourist attractions that cannot be missed in Paris are the Eiffel Tower and the Louvre Museum. Did you know that the Louvre Museum used to be a fortress? It was built in the 12th century to protect Paris from the Anglo-Normans. Then, as the city got bigger, a bigger wall surrounding the city was built. From then on, the Louvre was used as a palace and was changed into a museum in the 14th century when Louis ⅩⅣ moved his residence to the Versailles Palace. Some of you have heard that the French eat their meals slowly, taking their time for about three hours. In Korea, we do not eat for more than an hour because it does not take that much time. Moreover, if we sit in the restaurant for a long time, the restaurant owner usually gives us a look to get out. Do the French really eat for three hours? This is partially true. When you eat a course meal at a luxurious restaurant in France, it might take three hours for you to finish your meal. This is because the chef comes out to the customers after each course to check if everything is okay. On the contrary, in ordinary course meal restaurants, it took about an hour to finish a course meal. 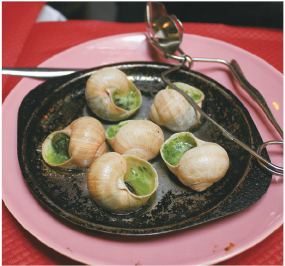 In a French course meal, either an escargot dish or a foie gras dish is always included. Due to its high price, I could not try foie gras, but I had an escargot dish. It was very chewy and not at all odious. The fact that the snail was in a shell was the only thing that made it look like a snail. Whenever there is a huge sale at a shopping mall in Korea, elderly female Koreans rush to the mall and actually fight with each other to get good deals first. I wondered whether Europeans also acted the same way during sale periods. When I went to Europe, it was during a huge sale period. There were big red ‘Sale’ signs in most of the stores. There was no one running around to get good products or fighting over a certain product, though. I am ashamed to say this, but as I was browsing quickly through the store, one French person told me to slow down and say Pardon (excuse me). She told me that there was no need to hurry. The subway in France was very unique. Each subway station was designed differently. The calligraphic styles of the names of the stations and the color of the walls were all different. Besides this, the subway in Paris was a little uncomfortable compared to Seoul’s. There is no announcement of the next station and there are no screens inside the subway train showing you what the next station is. You have to check outside the train to see where you are. Also, the train doors are not opened automatically. If you want to get off, you have to push up the handles. 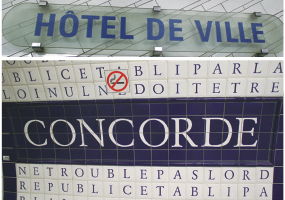 Additionally, compared to the subway stations and trains in Korea, the French subway stations and trains were unclean. The place that you must go to when you visit Switzerland is Jungfraujoch, located at the top of Europe. Jungfraujoch is the highest train station in Europe. Its height is 3,454m (11,333ft). During the two-hour train ride to the top of Jungfraujoch, you can see the steep mountains covered in white snow. Villages and hotels located between the mountains looked just like Heidi’s house in the movie. There were many people skiing down the mountains. It was surprising to see that there were so many elderly people skiing. When you go to the observatory on Jungfraujoch, you can eat Shin-ramen (Korean instant noodles). If you have a Jungfraujoch train ticket, you can get the noodles for free. Not only Koreans but also other foreigners were enjoying eating Shin-ramen. There are many things to do other than simply going to the observatory. There is the Ice Palace where you can see many carved ice sculptures. 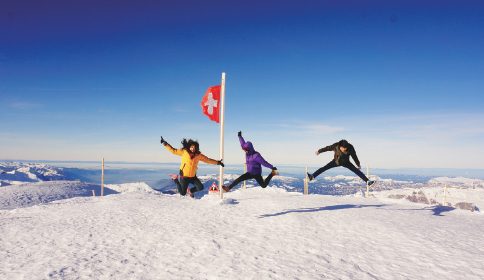 When you go to the Plateau, you can see the perpetual snow and take a picture beside the Swiss flag. You must be careful since there is strong wind and you might get pushed off the cliff. The most thrilling experience I had was at the Sphinx. It is an observatory that is 3,571m (11,760ft) high. You can go up there by the fastest elevator in Switzerland within 27 seconds. When you go up, you can see the UNESCO World Natural Heritage Site ‘Aletschgletscher,’ the longest glacier in Europe. When you step out onto the terrace, through the holes of the steel terrace, you can see the steep cliffs below. This and the hard wind will give you a thrilling and somewhat life-threatening experience. If you have acrophobia, you should think twice before stepping out onto the Sphinx. My trip route was as follows; Italy-Switzerland-Austria-Germany-France. My tip for you is not to go to Italy first. 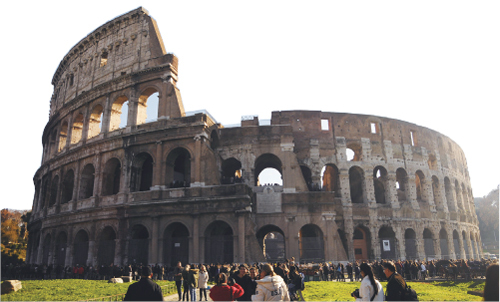 What I saw in Italy and the Vatican; the buildings, sculptures, fountains, etc, was so astonishing that the things I saw in the rest of the countries did not give me the same strong impressions. If you are planning to visit those five countries, I advise you to go to Italy last. Then, you will have a more satisfying trip. Aside from being tense throughout my trip to prevent myself from being pickpocketed, it was a great backpacking trip. I regretted not having studied much about Europe before going on my trip, though. The more you study about Europe before you go, the more you will be touched by what you see there. Why not start studying now for your backpacking trip this summer?